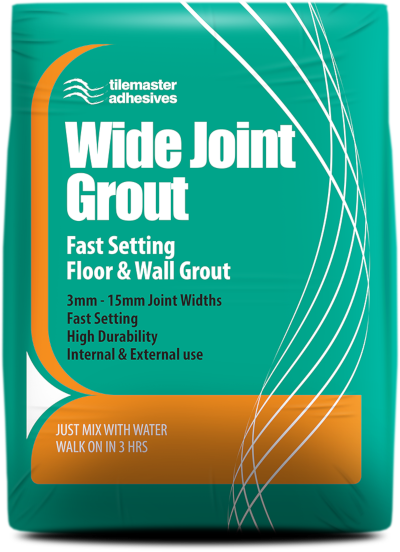 Tilemaster Wide Joint Grout is a fast setting, cement based wall and floor grout developed for grouting joints between 3mm – 15mm. 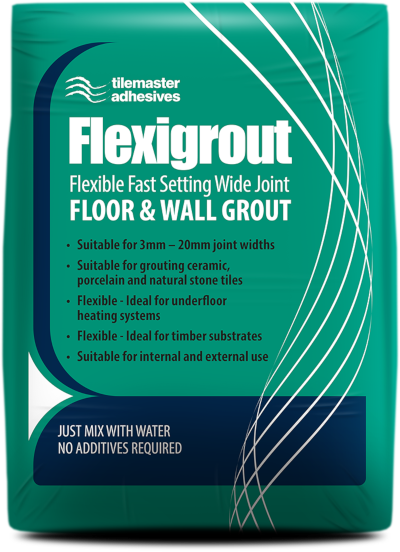 Tilemaster Wide Joint Grout is suitable for use on a large variety of tiles such as ceramic, porcelain and natural stone. The product can only be used on solid surfaces such as concrete, sand & cement screed without underfloor heating. Its fast setting capabilities allow for light foot traffic after 3 hours. 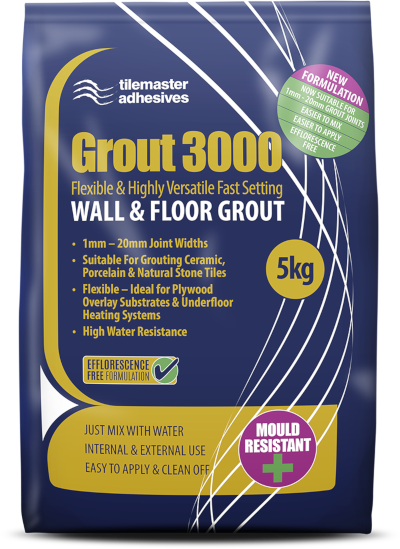 When set, Tilemaster Wide Joint Grout is hard wearing making it ideal for use in high traffic areas. 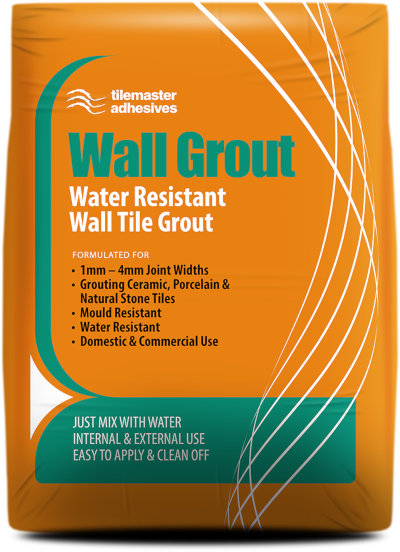 Tilemaster Wide Joint Grout can be used internally and externally and it is unaffected by frost after setting. © 2019. Tilemaster Adhesives Limited. All Rights Reserved & Asserted in All Media. This website and its contents are not intended to replace specialist expert advice which you should seek before buying and/or using our products.